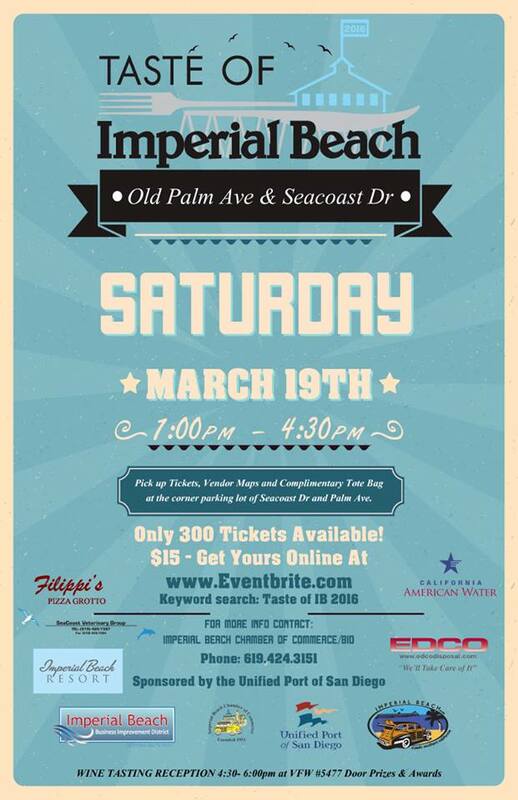 Come out this Saturday and see Displays of Historical Imperial Beach at the Taste of IB from 1pm to 4:30pm followed by a Wine Tasting at the VFW from 4:30 to 6:30pm for all attendees. Saturday the Imperial Beach Historical Group will be display history from Imperial Beach's past at the booth of Dig Imperial Beach. This is being done as part of the City of imperial Beach's 60th Anniversary. We will have a great display of Imperial Beach's History at the Taste of IB as we start to prepare for the Big Event at The Mayor's Breakfast at the Sun and Sea Festival Friday July 15th. We would love to see and hear about all IB History that may be out there and we look forward to putting on a great exhibit for you at the Taste of IB and the Mayor's Breakfast.